August 15, 2017 (San Francisco, CA) -- CellSavers, the instant services company for smart devices, has rebranded as Puls and raised $25 million in a new round of funding. The funding round is led by Red Dot Capital Partners — a Temasek Holdings backed growth fund — with support from new investors Samsung NEXT, Maverick Ventures and Kreos Capital along with participation from existing investors Sequoia Capital and Carmel Ventures. With $43 million raised to date, the new funding will empower Puls to widen its current offering of rapid-response, in-home digital services beyond cell phone and tablet repair to span flat screens, security cameras, voice-control and home automation products from any smart device manufacturer. The company is expanding its offering to cover the full lifecycle of a digital device, encompassing in-home demonstration, installation, setup, integration, support, repair and trade-in. The funding will also be used to expand into new U.S markets. Puls has developed a powerful technology platform, using proprietary algorithms to intelligently match consumers in need of smart device repairs or installation, with the right qualified technician in their area to arrive on time and complete each task on the spot. With a network of more than 1,000 vetted technicians in more than 40 markets, Puls schedules appointments within 60 minutes to almost any covered location, and offers a lifetime guarantee on all repairs. By focusing on the end-to-end customer experience, the company provides a single point of contact for consumers and technicians, ensuring unmatched convenience and customer satisfaction. “We know how frustrating it is when your digital devices stop working, and at Puls we’re here whenever you need us, to get you up and running in no time, to keep your digital heart beating at all times,” said CEO and co-founder, Eyal Ronen. “We’re on a mission, and with incredible team members, partners and advisors, we’re perfectly positioned to tackle one of the biggest gaps between consumers and the proliferating digital devices at the center of our lives. Since opening in 2015, the company has grown significantly, struck strategic partnerships with industry leading device manufacturers, such as Google, and has proven its service-first model with thousands of 5-star customer reviews on Facebook and Yelp. Founded in 2015 by Itai Hirsch and Eyal Ronen, Puls (formerly CellSavers) connects consumers with highly skilled technicians to install, support or repair their smart technology devices anytime, anywhere. Providing services in more than 40 markets, Puls leverages a proprietary technology platform to match customers with the right skilled technician, managing the process from start to finish, with most repairs addressed within 60 minutes. With thousands of 5-star reviews on Facebook and Yelp, Puls goes the extra mile for its customers to ensure exceptional service and guaranteed results. 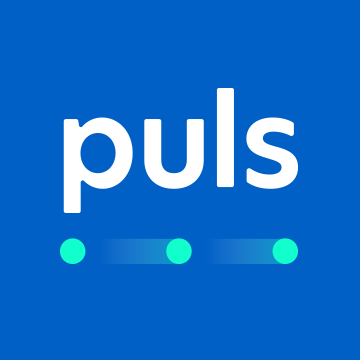 Headquartered in San Francisco with offices in San Diego and Tel Aviv, Puls has raised $43 million in financing with backing from Sequoia Capital, Carmel Ventures*, Red Dot Capital (Temasek Holdings), Samsung Next, Maverick Ventures and Kreos Capital. *Carmel Ventures is now Viola Ventures, effective November 1, 2017.